Around 1955, as people's interest in stage lighting started to grow, an improvement in stage lighting facilities and a technical improvement of the lighting engineers were strongly requested. Since most of the lighting engineers were widely scattered and sometimes isolated, it became apparent that there was no means of communication or mutual cooperation in order to study and exchange knowledge to meet those demands. Also, society's evaluation of them was not necessarily fair. To deal with this situation, people engaged in stage lighting back in October 1956 gathered together for the purposes of technical improvement and to lift the social status of the lighting engineers, as well as to promote mutual friendship. To this end, they first established the Stage Lighting Association in Tokyo, and successively established the Kansai Stage Lighting Association in Osaka, followed by the Central Stage Lighting Association in Nagoya. Each association continued carrying out their individual activities while maintaining mutual communication and, with the spread of television, they eventually changed their names to the Stage and TV Lighting Engineers Association. In 1962, the three associations held the Japan Lighting Engineers conference and continued activities substantially as the only lighting engineers group in the whole country, thereby achieving their original purpose. In recent years, we, lighting engineers, have reconfirmed the importance of our mission, thanks to technological advances in cultural facilities throughout Japan, as well as the frequency of cultural exchange with foreign countries. We also established a single nationwide organization, a corporation: the Japan Lighting Engineers Association (authorized by the Ministry of Cultural Affairs, December 14, 1973). Next year, we will celebrate our 40th anniversary. On December 24, 2010, we were reclassified as a nonprofit public corporation, in light of which we continue to strongly promote ourselves as a public organization of lighting engineers, both in name and in practice, in order to meet the demands of the public and to contribute to the development of Japanese culture and art. JALED promotes the study and technical improvement of Stage and TV Lighting and the distribution of knowledge to its members. A seminar for the professional development of the lighting engineers of the next era was introduced with the aim of improving technical skills in a modern universal teaching method. In conjunction with a skill authorization system, the seminar was divided into various lectures: an open lecture; an area lecture; a center lecture; and a newcomers' lecture, for stage and television lighting. This seminar started in 1973, and has been held continuously every year afterwards in each city nationwide. At the same time, the seminar is being held in a wider area and also in response to the development of hi-tech apparatus. We regard on-site training as more important than theory, and believe that not only knowledge and technique, but also cultivation of originality and sensitivity as lighting engineers will be an important theme in the future. The new lighting technology will not be born from a catalogue of lighting equipment. Skill authorization and the granting of licenses to lighting engineers as professionals was eventually started in 1981 after a long period of examination and adjustment. Thereafter, this procedure was put into effect as the Association's original official regulations and remains so today. There are two grades for the examination of qualifications for lighting engineers: one is the second grade, for beginners; and the other is the first grade, for engineers who have experienced on-site work for 5 years. The number of lighting engineers who received a qualification in the past totals approximately 8,000. Through the fields of theater and television, the role the Association carried out was remarkable, namely, to bring recognition and to establish the professional ability of lighting engineers, as well as to improve and to make lighting technology widely available. Sometimes, this qualification is adopted as an employment condition for public halls and is gradually gathering social recognition. Publications such as the "History of Japan Stage Lighting", the first of its kind, and the famous "Stage Lighting Learning", written by Dr. Shizuo Toyama, were studied deeply by the members, which led to their popularity and eminence in the lighting field. 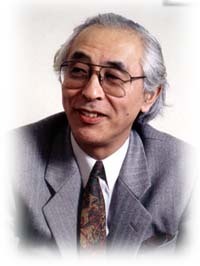 In addition, the editing and publication of lighting texts and the accumulation of experience through "National TV Lighting Engineers' Meetings" and "National Stage Lighting Engineers' Meetings" were then applied in the workplace throughout Japan, resulting in the dissolution of regional differences. Overseas training of the members and the interchange between overseas visitors and Japanese staff have become frequent in recent years, leading to the globalization of activities of the Association in the aspects of both soft- and hardware. Through the continuation of open lectures and publication of related books about lighting technology and the foundation of the Lighting Engineers Association prize, etc., lighting engineers and their duties became gradually recognized by the public. In addition, in close cooperation with associated groups, we actively plan and hold open events, seminars, and symposiums. In recent years, lighting classes intended for hall staff, amateurs and students by each regional branch office have been introduced and contribute to the promotion of local culture. Thirty years have passed since becoming a public service corporation, and we will strive through our activities to return our widely accumulated techniques and knowledge to society through lighting. The work of Stage or TV lighting is not carried out alone. It is completed through the cooperation of actors, the director stage hands, theatrical costume designers, the cameraman, etc. It is limited by the condition of available facilities and is dependent upon technology, including electricity. In addition, the performance itself is a "time durational art" this is impossible to record or reproduce. Therefore, close communication and cooperation with associated groups is indispensable to everyday activities, and at special events it becomes effective. "The JALED Prize" was introduced in 1981. It is an honor system that is rare in the world of lighting engineers. There are many prizes* The Grand Prix (the prize is awarded by the Minister of Education, Culture, Sports, Science and Technology) for both the Stage section and the TV section, respectively; followed by an Award of Excellence; the Rookie of the Year title; a prize for Encouragement; a prize for Effort; a Technical prize, etc. The commendation is awarded not only for a work itself, i.e. a TV program, but also for technique development, lighting equipment improvement, and facility lighting design. These criteria are evaluated by judges comprised of lighting engineers themselves, and leaders and well-informed members of the world of art and culture, which raises the social authority of the award system year by year. In addition, the door is opened for all lighting engineers, members as well as non-members. This awards ceremony is highly evaluated at the gateway to success for new talents in the lighting field. This system is intended to enable the lighting world to contribute to uplifting art culture as a whole. "The Journal of the Japan Association of Lighting Engineers & Designers" is the media which bins members together, and it is the only book which describes the current situation of the lighting world in Japan. For example, it includes a presentation of the "results of the study of lighting technology and introduction of new equipment", including reports from foreign countries written by people in training overseas. The book series, "Stage & Television Lighting", was originally edited and published as a lecture text, but was reprinted and updated because no similar book was available. Other books, videos and templates have been published which cover topics such as lighting duties, safety operation, duties management, maintenance of equipment, etc., and are used as teaching tools in technical schools and public halls. In addition, the Association has also published the "History of Japan Stage Lighting" and "Japan Stage & TV Lighting Modern History", etc., being the only association who can do the job. The Association is the only professional group of the stage and TV lighting field in our country, and mutual communication between members has become extremely popular across local areas and fields since the Association started. However, it was a little bit behind in matters of public welfare and the establishment of a workers' compensation system. Though it was considered from the beginning, a compensation system for on-the-job accidents was introduced in 1987, and participation in "group accident insurance" started in 1995. Changing times and the age advancement of the members seemed to promote mutual cooperation and awareness, and helped to overcome the difference between individual rank and the type of employment. Copyright (C) Japan Association of Lighting Engineers & Designers,Inc.